Based on years of research and 121 real-life first dates, relationship expert Wendy Newman dishes up practical wisdom for navigating the online dating trenches with grace, efficiency, and a strong dose of humor. Wendy Newman has made every imaginable dating mistake so you don't have to. Part guidebook, part personal tell-all, 121 First Dates chronicles Wendy's funny, real-life misadventures and the practical wisdom she gained from them. Her dating tales will find you laughing, commiserating, and nodding your head as you learn how to stay in the dating game until you find the right man, just like Wendy did. This book busts myths, answers age-old questions, and examines pitfalls that make you want to give up on dating altogether. Just when you're about to submit to a lifetime at home with a pint of Haagen-Dazs and sitcom reruns, 121 First Dates will inspire you to keep stepping out. Wendy discusses how to date successfully and efficiently, avoid the most common dating pitfalls, have an amazing first date with anyone, end uncomfortable situations with grace, and much, much more. She offers up realistic Dos and Don'ts as well as tips for making the most of any situation you find yourself in--whether you want to run or you think he's the one. 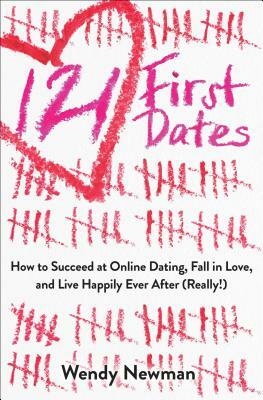 Brimming with humor, hope, and authenticity, 121 First Dates will give every woman the tools, confidence, and determination to be and stay real when dating. How else will you find the best match for you?